Property 1: Summer on Sale! 2 Bedroom 2 1/2 Bath TownHome!! Property 6: Only a few weeks left in the Summer! Property 8: THE LINKS at Myrtle Beach OCEANFRONT RESORT & TENNIS CLUB Great North Location! 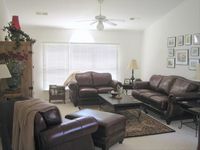 Property 9: Beautiful Townhome in Desirable Tidewater Community in NMB! Great for Golfers & Famillies! Property 14: Save more off the beach - 2 Bedroom 2.5 Bath Short Drive to the beach. Sleeps 8! Property 17: Great Condo-Close to golf courses, shopping, restaurants and the beach! Property 18: Great Condo-Close to golf courses, shopping, restaurants and the beach! 4 BR/3.5 BA in N. Myrtle Beach! Just across the Blvd. from the ocean! Property 19: 4 BR/3.5 BA in N. Myrtle Beach! Just across the Blvd. from the ocean! Spacious 3 bedroom, 2.5 bath townhouse w/elevator. Sleeps 8. Screened porch. Golf cart allowed. 2 car garage. Short walk to beach. No pets. Property 22: Spacious 3 bedroom, 2.5 bath townhouse w/elevator. Sleeps 8. Screened porch. Golf cart allowed. 2 car garage. Short walk to beach. No pets. Ala Moana at The Catalina Manor Sleeps Up To 24 People In North Myrtle Beach! Property 23: Ala Moana at The Catalina Manor Sleeps Up To 24 People In North Myrtle Beach! 6 BR/4.5 BA in N. Myrtle Beach! Just across the Blvd. from the ocean! Property 25: 6 BR/4.5 BA in N. Myrtle Beach! Just across the Blvd. from the ocean! Property 30: 6 BR/4.5 BA in N. Myrtle Beach! Just across the Blvd. from the ocean! Beach Bungalow in North Myrtle! PET FRIENDLY * 1 MIN. to BEACH * TOP LOCATION! Property 31: Beach Bungalow in North Myrtle! PET FRIENDLY * 1 MIN. to BEACH * TOP LOCATION! Spacious Coastal Getaway in Heart of North Myrtle! Beach * Pool * Play * Repeat! Property 32: Spacious Coastal Getaway in Heart of North Myrtle! Beach * Pool * Play * Repeat! We really enjoyed our time at Sea Trial. We loved the condo. We look forward to visiting again!! Thank you !! !